The Scripture Lady has spent over 2 decades traveling around Southern and Northern California (and the Country!) 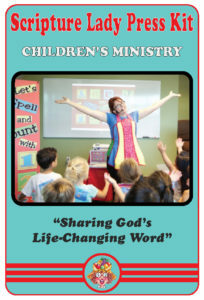 sharing her musical children’s ministry programs to both Christian churches and schools. Expanding the reach of her Children’s Ministry has been a longstanding passion! Sharing God’s life-changing Word to children is a great honor. Let the Scripture Lady share her Bible song programs with your elementary and preschool children to help them learn God’s amazing Word, the Bible! A Scripture Lady Bible Song program is designed to get your children applauding the Word of God! Each presentation is brimming over with fun-filled Bible verse songs for kids. 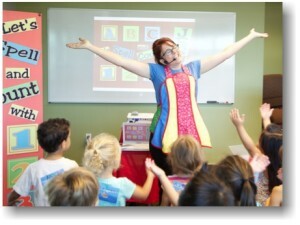 Every child will feel like a “Star of the Show” as they perform all of Scripture Lady’s easy to learn toe-tapping moves. 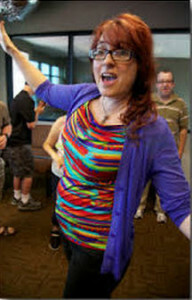 The Scripture Lady is a “pro” at creatively presenting the Bible. Through catchy tunes and eye-catching props your kids will have a SUPER time learning about God’s amazing Word. All performances are perfect for Sunday school time, Chapel time or for your VBS (Vacation Bible School). 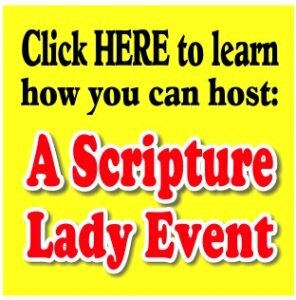 WHAT CAN YOU EXPECT FROM A SCRIPTURE LADY BIBLE SONG PROGRAM? * A clear and accurate presentation of Scripture. * A visually colorful and inviting stage. or email us at thescripturelady@gmail.com. I do not give as the world give. LOCATIONS: The Scripture Lady, Head Quartered in Yorba Linda California, performs primarily in Southern & Northern CA, but has also worked in OR, CO, MD, IL, NM, UT & NY.